With everybody saying Spain isn’t as affordable as it used to be, what do I think about taking a trip to Spain nowadays? I would highly recommend it. Especially, if you go on the shoulder seasons of spring and fall, it should be easy to get around to what you want to see. As far as economics and the Euro, I would say Spain is still a good deal. If you are from the USA, you will be pleased with the food prices. That is as long as you eat like a local with a slight breakfast at a stand up counter, a leisurely sit down for a huge lunch around 2pm and a late, light supper at a stand up bar. The less expensive lodging is still cheaper than what you find in most places around the USA. Note, rooms do not have kettles for making hot water there. But on the up side, Spain has snack machines offering healthy snacks like small cans of nuts; the dispensers look a bit like bubble gum machines to me. And keep your eye open for packages of sliced fresh apple at convenience stores. The public buses are a bit cheaper than the trains, but the regular trains are fairly priced. 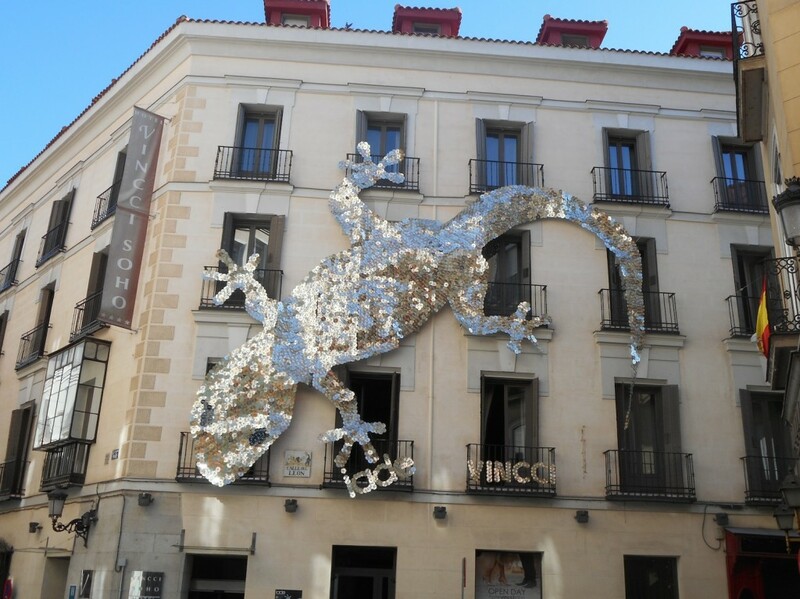 If you like art (as I do), Spain is a wonderful destination with art museums of Velázquez and Murillo and Goya and Picasso and Miró and the list goes on. Many of the museums are free or have free hours during the week that permit an an avid planner to save a lot. Spain also has castle remains, new age Spanish hammams, bull rings, old city walls, olive orchards, cathedrals, Roman ruins, orange orchards and don’t forget the glistening oceans. Knowing some Spanish vocabulary words will make the trip much more enjoyable. The locals mostly keep to themselves but are helpful when you ask for help in Spanish. I got lost in Toledo trying to find the train station. (I think it was because I was exhausted as it is not difficult to get there from the city center.) Anyway, I had stopped twice to ask and the people didn’t know where it was. But they passed the message along as they walked. The Spanish are walkers (and they are wearers of stylish footwear). Before I knew it, I was experiencing my 15 minutes of infamy as people spotted me and gave me directions to various people who knew how to give directions to the train station. In fact, one of those knowledgeable people went out of his way to track me down to set me on the right path. Another surprised me by indicating the correct direction when I paused at a fork in the road. I think a trip to Spain is a good idea.